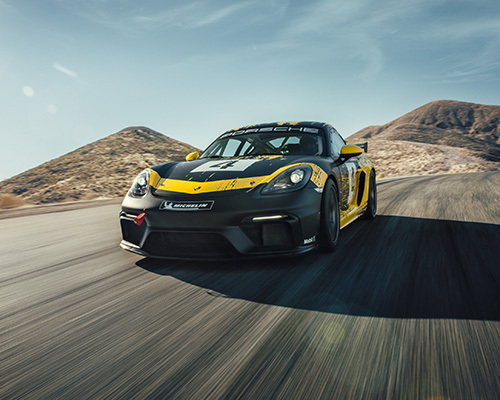 the new porsche 718 cayman GT4 clubsport's body parts are made from agricultural by-products like hemp fibers, which have similar properties to carbon fiber. 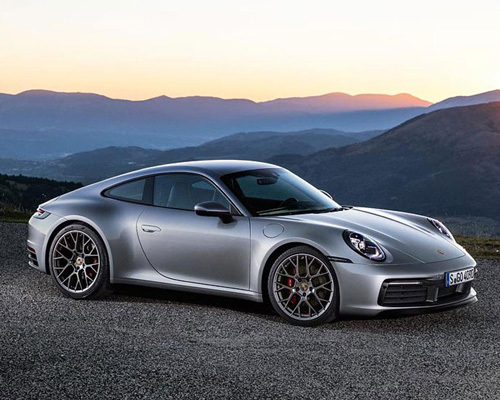 this is the eighth generation of the 911 which is celebrating a 55-year history. here's a look at what's new. a unique car with a unique story. 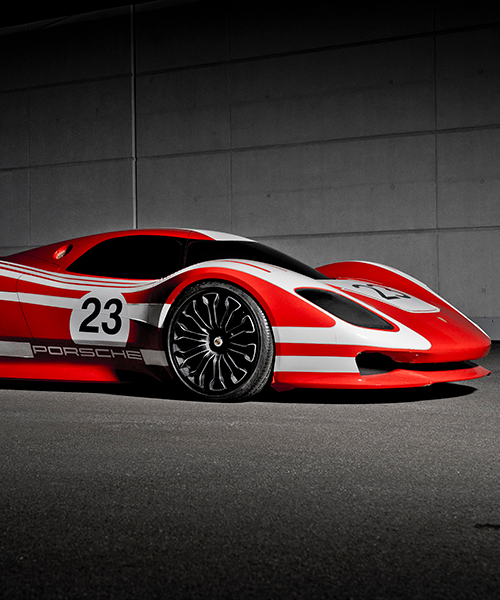 this particular porsche was first redesigned by legendary painter and custom car builder dean jefferie. 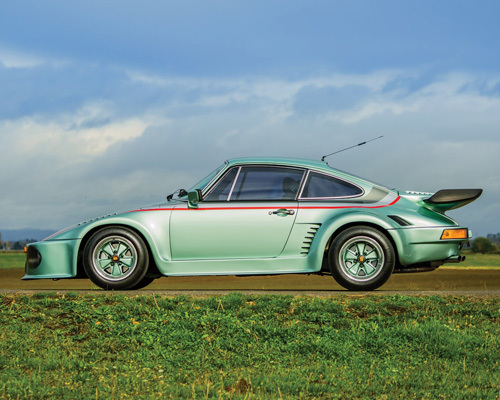 the aesthetic continues from the porsche's exterior to its interior, boasting a dark green roll cage, racing seat cushions in petrol blue, and a signed wooden gear shift. built more than 60 years ago, the speedster spent most of its life carefully stored in a special garage, and carefully maintained by its owner. 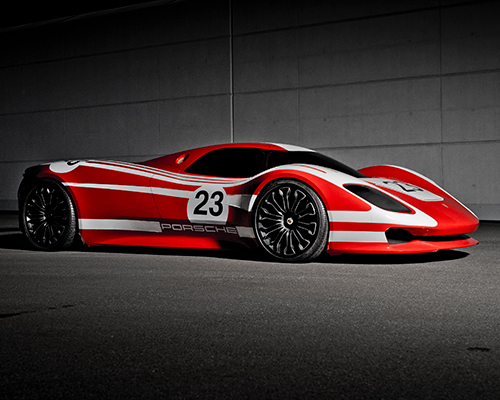 the porsche 911 speedster concept references its 356 'no.1' roadster racing heritage with subtle design features. priced at 45,000 dollars, the san fernando valley vehicle is a big deal for a couple reasons. porsche unveils an electric vehicle with a spectacular design language at the geneva motor show, the mission E cross turismo. a 60-kilowatt-hour battery pack provides enough power to reach 0-62 mph in 6.0 seconds. this small-town beauty is equally at home on the field or driving down deserted highways. porsche announces that it is likely to release three electric all-wheel drive mission e sports car models as early as next year. the 964 DLS coupé celebrates an era of air-cooled porsche 911s, and depicts a pursuit of aesthetics through an artistic philosophy. 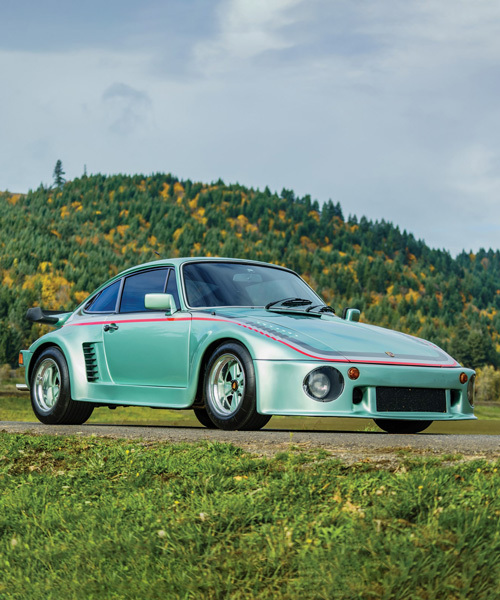 the gunther werks '400R' is an example of a bespoke coach car builder using contemporary automotive engineering techniques and components to classic air-cooled porsche '911's'. porsche's 700 ps '911 GT2 RS' has a high-performance look from every angle, while cementing its status as the fastest 911 in the world. porsche‘s 911 turbo gets a hint of darkness with slick all-black bodywork by poland-based vehicle tuner auto-dynamics. 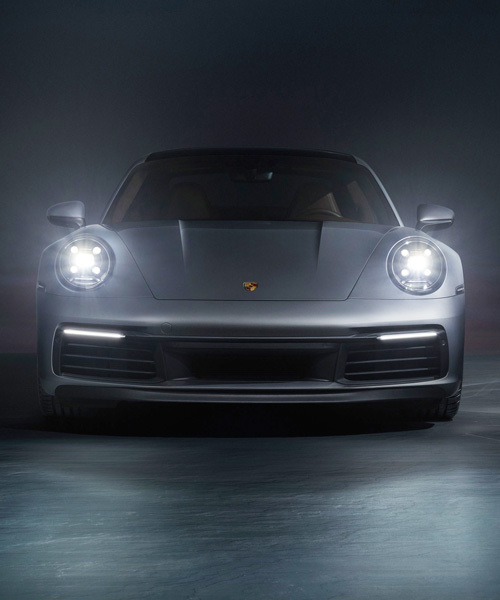 labelled as the most powerful ‘911 turbo S’ to date, the porsche ‘911 turbo S exclusive series’ delivers 607 hp and 750 Nm of torque thanks to its 3.8-liter, six-cylinder engine. the one-million porsche 911 is painted in an attractive irish green colour, with trim and badging contrasting in gold, and a luxurious interior featuring a houndstooth seat trim, plus a wooden steering wheel. the kreisel EVEX 910E is an electric supercar that takes the future of motorsport and places it in a classical-aesthetic body. based on the elegant and powerful panamera, the sport turismo is essentially the 2012 porsche concept car brought to life with a voluminous boot. with aluminium statement bumpers, a HID hella light pod and suspension equal to that used on the top FIA world rally cars, a HID hella light pod, the porsche 964 'safari' is the rally car of dreams. the paris motor show will see porsche unveil the fourth model in the panamera line: the 'panamera 4 E-hybrid' with controlled all-wheel drive and an electric range of 50 kilometres. this collector’s item is presented in etna blue -- named after the tallest active volcano in europe -- the standard color for the classic '356B (T5)' in 1960.
the circuit, which runs through the facility's courtyard, includes six driving modules designed to demonstrate the capabilities of different models. 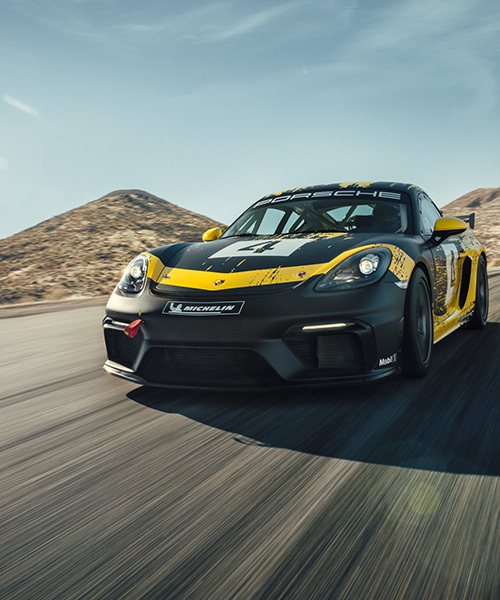 one particular highlight is the fully functional porsche double-clutch transmission with four gears and gearshift paddles on the steering wheel.